Fans of classic JRPGs have been eating well this year on iOS, with four installments from the juggernaut Dragon Quest series releasing so far and very likely one more to come before we flip the calendars. 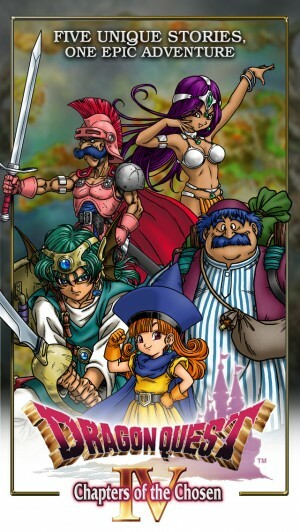 All of the Dragon Quest games that Square Enix has put out so far on mobiles in 2014 are pretty strong games, particularly taking their age into account, but in this humble RPG fan’s opinion, the best of the bunch is without a doubt Dragon Quest 4: Chapters Of The Chosen ($14.99). I gave it top marks in my review both on the strength of the original game and the excellent quality of the port. It’s easily the best version of Dragon Quest 4 available to English gamers and a must-have for any RPG aficionado. If you haven’t picked it up yet, fortune smiles upon thee, for thou hast found the great sale price. While the game regularly goes for $14.99, the price is currently reduced 33% to a mere $9.99. Dragon Quest 4 was originally released on the 8-bit NES and came out overseas under the title Dragon Warrior 4. This version of the game is based on the Nintendo DS remake which was released in English in late 2008. One of the main criticisms of that release from fans was the lack of conversations with your party members, cut from the Japanese version for unclear reasons. The mobile version goes the whole distance and translates those dialogues, letting you get to know the off-beat cast better than ever. Sadly, the poor game had a bit of a rough launch with Square Enix accidentally misspelling the game’s name in the App Store as Dargon Quest, spawning a minor meme and interfering with anyone’s attempts to actually find the game and buy it. Dragon Quest 4 is a big 40-hour adventure with a wonderful cast of characters and a fantastic soundtrack, and it can be yours for under a tenspot. Plus applicable taxes, I guess. As to the reason for this sale, it could be just a simple Thanksgiving sale, but Square Enix has in the past put games on sale to trumpet a new release in the same series. 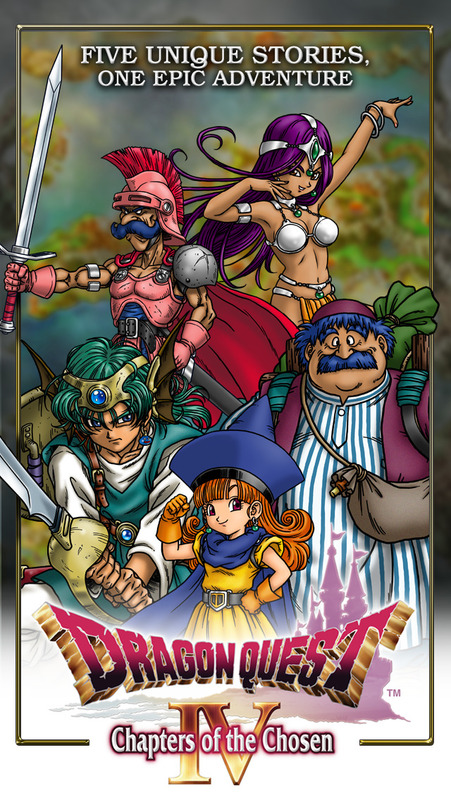 We are about due for the English version of Dragon Quest 3, too. I guess we’ll know soon enough if that’s the case, but in the meantime, you’ll definitely want to jump on this deal while you can.